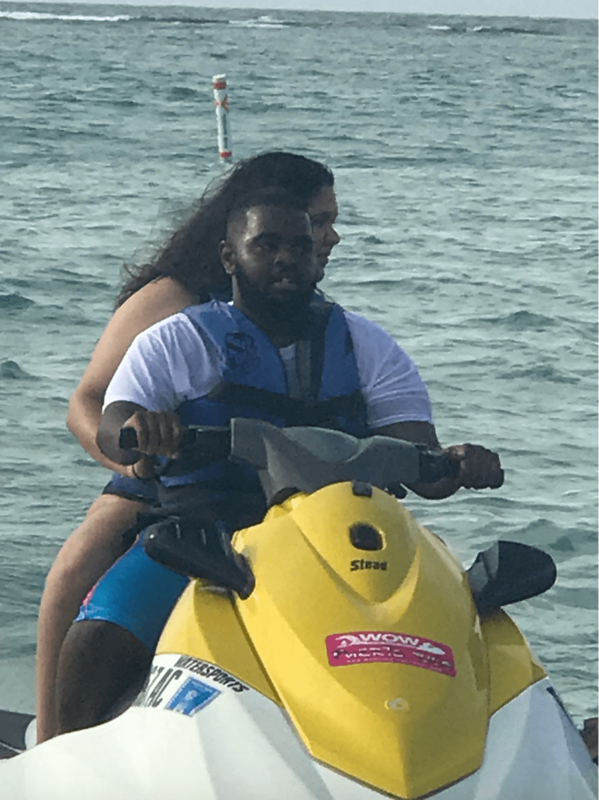 On my 25th birthday, I performed my best DJ Khaled impression by treading the waters of Puerto Rico on a yellow jet ski. Ignoring the fact that I can’t swim, I boldly hit 40 MPH and stumbled into an epiphany; DJ Khaled made riding on Jet Skis look easy (it’s not). The real epiphany was realizing that I’ve been my own worst enemy. I perpetually daydream about adventurous life-risking activities like climbing Mt. Everest, kayaking with whales, and paying my student loans. The reason why my daydreams haven’t materialized into night-realities is fueled by the fact that I’ve turned into a professional dream blocker. Time and time again, I find myself hesitating on decisions that would enhance my life. Whether it’s a spur of the moment trip like traveling to Philadelphia to get an authentic cheesesteak or publishing a blog post to an audience of people who genuinely want to digest my melodramatic thoughts, I’ve been hesitating to pull the trigger. As a result, I’ve been crushing the dreams that my happy-go-lucky younger selves fantasized about. This vicious cycle of dream blocking has adversely affected my ability to truly experience what I consider my prime. Victims of the quarter-life crisis often find themselves what I deem “mentally still.” Being mentally still is a state of mind that hinders an individual’s ability to ponder their future or make decisions out of their comfort zone. I let this quarter-life symptom transform my ascension to adulthood into a ticking time bomb of failure when that clearly hasn’t been the case. A year ago, I held the job from hell, lived with my parents, and my traveling was limited to Publix sub lines. Now, I live on the beach, have a job I love, and celebrated my birthday in Puerto Rico. It’s crazy how anything can happen in a year; in fact, I usually find myself repeating that line to my friends. Now that I’m 25, it’s time to stop treating my quarter life like a plague and celebrate it to the fullest. This was a blog post that was supposed to release in July that got post-postponed until now. The only reason for my delay was my battle with the dream blocker that I once was. Spoiler alert, I won the fight and we won’t have to worry about me being mentally still anymore. If you’re going through a similar battle, take the time to do a little introspection. You’ll find that there’s some type of silver lining in whatever situation you’re in. Whether you’re a millennial drowning in debt, failing at relationships, or anxious about your future, this time of your life is one to celebrate. Right now, we’re young and full of talent. Sitting on that jet ski helped me realize that I’m the only one in the way of my dreams. I’ll no longer be my worst enemy. Gradually, I’m going to convert this quarter-life crisis into a celebration. Easier said than done but it will be done nonetheless. Mark my words! Every year, I like to establish a theme that I’ll follow. Since I’m releasing this post on New Year’s day, I’d like to share this year’s theme, “building.” This year, build your relationships with the people you care about. Build that savings account that’s been yearning for a deposit. Build life-changing rapport with yourself! Let’s build an empire ? Today’s song of the day is “Quarter Life Crisis” by Reela. My good friend, Reela, dedicated this song to my blog and my cause. This anthem gives you a look into the world of individuals affected by the quarter-life crisis. I’m happy to announce that I’ll be directing a music video for this track. Enjoy and stay tuned! Amazing. This really changes how I view my own life. Good read!